The visitors’ guide in Major’s Hill Park, a few hundred metres from Parliament Hill in Ottawa, is well into her astonishing story about the construction, nearly 200 years ago, of the Rideau Canal, a feat so monumental that in 2007 UNESCO declared it a World Heritage Site. 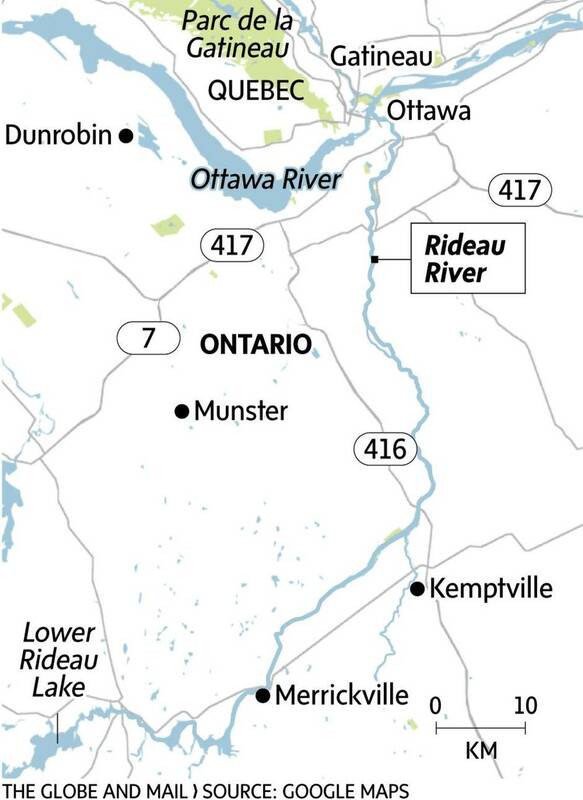 This is the seventh in a Globe series on Canada's rivers, from coast to coast. Our guide is standing in the bright sun below the statue of Colonel John By, the builder of the canal, and if the colonel might be surprised by her wild tale, it is nothing compared to the shock he would feel knowing that in Canada he is today held in high honour, a world apart from his fate in England, where his final days were spent heartbroken and disgraced, dead of a stroke at 56. Welcome to the River of Tall Tales, some of them true. Not far from where the guide spins her flaming-rat story – she swears one of the staff at the nearby Bytown Museum told her, and that the tale is in a book, somewhere – once sat the Russell Hotel, where, back in 1905, the Ottawa Silver Seven hockey team celebrated their Stanley Cup victory. The players got so drunk that star forward Harry Smith drop-kicked the cup into the canal and, horrifically hung over, had to return next day to retrieve it. Farther upstream at the charming village of Manotick, there is the Ghost of Watson’s Mill – the beautiful Ann Crosby Currier, newly married and touring her husband’s workplace in early 1861, when her crinoline dress got caught in a spinning shaft and she was flung so hard against a nearby pillar the blow killed her instantly. Locals still claim there are times when her sad figure appears at a high window in the mill, now a museum. There is the mysterious story of the lost barrel of silver coins near Jones Falls, the barrel supposedly containing 50-cent pieces used to pay the canal workers nearly two centuries ago. Some still search for the lost treasure to this day. There is the Witch of Plum Hollow, far along the Rideau waterway, where, in the mid-1800s, believers came from all over to the log cabin of “Mother Barnes,” where, for a quarter, she would foretell their future and once, they say, solved a murder with her amazing second sight. Ken Watson is the resident historian of Friends of the Rideau, a non-profit association of Rideau Canal enthusiasts, and the author of four books on the Rideau system. The retired geologist has heard most of the stories and knows some of them are mostly based on fact – Mother Barnes told fortunes, Patrick Sweeney drowned, Ann Currier died in a mill accident – and some might have a bit of truth to them: The men who built the canal were indeed paid in coins, but no one knows whether there was any lost treasure. He has never, however, heard the tale of the greased and flaming rat. 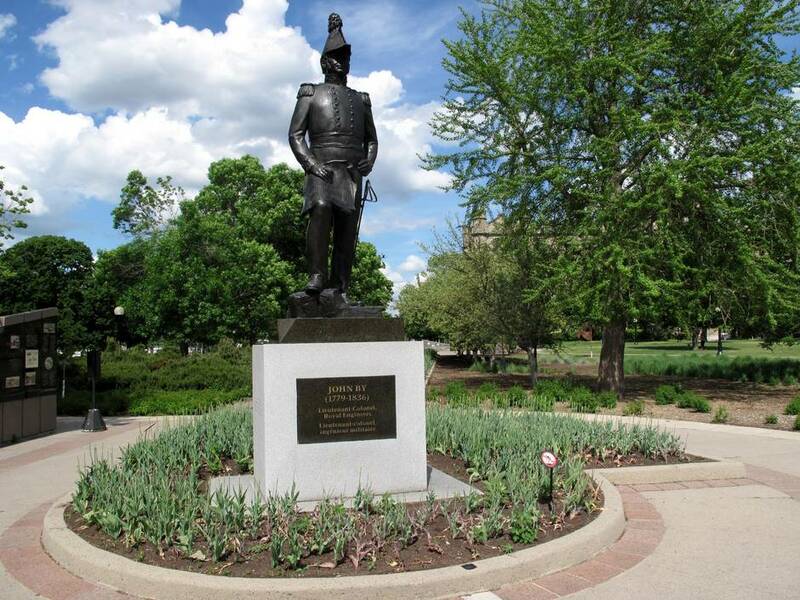 The one great true story behind the Rideau waterway, of course, is the sad tale of the man whose reputation today stands bronzed rather than tarnished in Major’s Hill Park: Col. John By. “It’s just an absolutely heartbreaking story,” Mr. Watson said. “By had to have been an absolutely remarkable man. He seemed to have it all – military leader, engineer, surveyor – and he basically got plunked in here and told to make this thing navigable. “And he did exactly that. 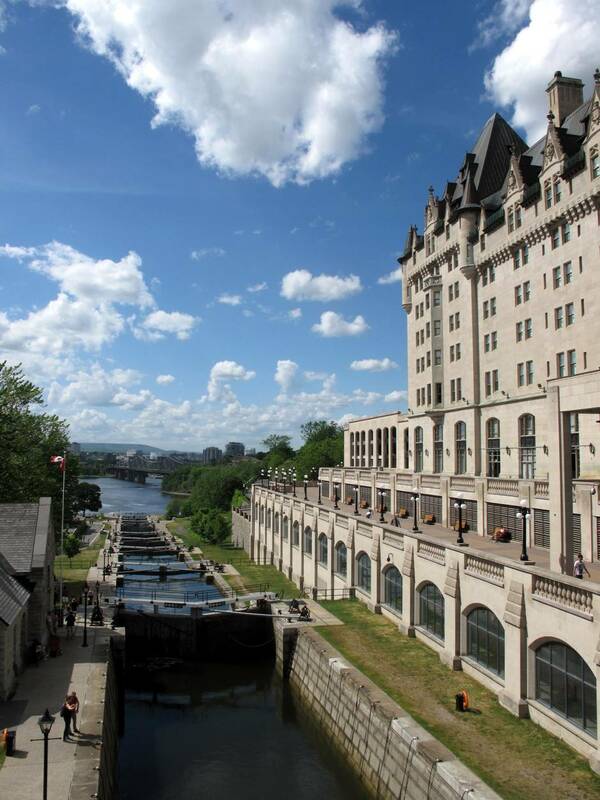 The Rideau Canal is a wonderful example of 19th-century engineering that still exists essentially in its original form. Today, more than a million visitors a year come to marvel at what Col. John By constructed. The little community that sprang up on the shores of the Ottawa River, known as Bytown, would decades later become Ottawa and in 1857, 21 years after his death, be chosen by Queen Victoria to become the nation’s capital. The canal stands as one of the major engineering feats of the 19th century, a marvel that, to this day, operates much as Col. By left it, the locks and swing bridges largely operated by hand. The Rideau waterway is unique in that it flows both ways from its high point at Upper Rideau Lake in eastern Ontario, the canal system running some 202 kilometres between the Ottawa River and Lake Ontario. From the nation’s capital, it tracks southwest through a number of smaller Ontario communities – Merrickville and Smiths Falls being two of the better known – before reaching its final destination, Kingston. En route, the waterway links the Rideau River, several lakes and the Cataraqui River. The designation by UNESCO included the canal and its 47 locks, Fort Henry and the Kingston Fortifications – appropriate in that the canal system was built entirely for military reasons, though never used as such. At the beginning of the War of 1812, former U.S. president Thomas Jefferson claimed that capturing the British colony to the north would be “a mere matter of marching.” It didn’t turn out that way – we won the war, as all Canadians know – but the British Empire was struck by a case of anxiety following its battles with Napoleon on the European continent and the Americans in North America. Preservation of the British Empire, it was believed, would depend on strengthened fortifications and secure transport routes for militia and supplies. The Duke of Richmond, then Governor-in-Chief of British North America, had a previous survey showing the potential of a Rideau route – well away from the U.S. border, able to connect Montreal with Fort Henry at Kingston – and pitched the idea to the Duke of Wellington, the man who a few years earlier had defeated Napoleon at Waterloo and who now served as Master-General of Ordnance in charge of forts and canals. The Duke of Richmond set off from Quebec City to see the area for himself but did not return. Somewhere along the way, the pet fox of one of his soldiers bit him and he died of rabies in a log cabin near the Jock River, a tributary of the Rideau. On March 1, 1819, Wellington wrote a memorandum advocating the construction of the canal, though it took five years before a civil engineer named Samuel Clowes was asked to do a cost analysis of the project. Clowes estimated it could be done for the ludicrously low estimate of £62,258 ($107,778). In some ways, Col. John By’s political fate was sealed before he even arrived in Canada. Over the following six years, Col. By and his men worked furiously at the construction. He made seemingly arbitrary decisions – from the dramatic positioning of the first eight locks in Ottawa to widening and deepening the canal – and though he had his reasons (defending the canal would be easier from higher land, larger vessels would be able to travel), he saw costs balloon. It was a time of political turmoil in Britain – reform was in the air – and wild cost overruns in the colony were easy targets. There would be other costs, as well: human life. Col. By’s labourers – an estimated 6,000 – were mostly poor Irish immigrants and French Canadians. They died when the unstable “black powder” they were using exploded unexpectedly, they died when dams collapsed and they died by the hundreds from “bad air” – the term then in vogue for malaria, which was rampant in Canada at the time. The swamps of eastern Ontario were so impenetrable and mosquito-infested that work often came to a halt in August, when the heat and bugs were at their worst. Far below the statue of Col. By in Major’s Hill Park, a Celtic cross stands by the first locks in the system, “In memory of 1000 workers & their families who died building this canal 1826-1832.” No one knows the exact number. Through all this, Col. By persevered. He came down with malaria himself not once but twice, yet refused any opportunity to return to England before the job was complete. He was being censured in Britain, it turned out, at almost precisely the same time as he was being fêted in Kingston for the completion of his remarkable canal. He sailed home, not even aware he was an object of derision. The canal system had cost £777,146 – about £73-million today, using historical inflation figures. It was massively more expensive than the early estimates, but hardly out of line with costs of other canals being constructed. In 2012, Parks Canada said the replacement value of the “assets” of the Rideau Canal system would be more than $929-million, but no matter, there was no one to defend Col. By when he reached home. It never happened. His wife, Esther, wrote to the government when it seemed her husband would not live much longer, asking that some “public mark” be awarded to her husband “to prove to the world” that he had served King and country well. In the video that plays at the various visitors’ centres along the waterway, Esther is weeping as she pens the letter. A few months later, her husband was dead, her wish unfulfilled. The “public mark” was finally delivered by UNESCO, 171 years after a tearful Esther By begged for it. “I’ve spent more of my life on the water than I have on the land,” says Don MacKay, who was born and raised on the Rideau waterway and has spent the past 33 years working for Parks Canada. He once operated the Davis Lock, also known as “solitude lock,” a remote station on the waterway that connects Sand Lake to Opinicon Lake. 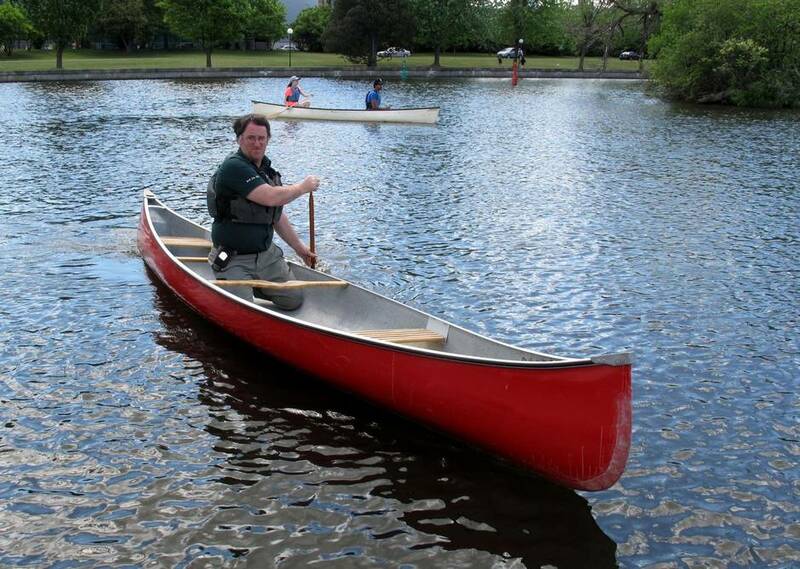 Today, he is a public safety co-ordinator, teaching this summer’s batch of Parks Canada students how to canoe before they head out along the waterway as part of the department’s visitors’ experience program. 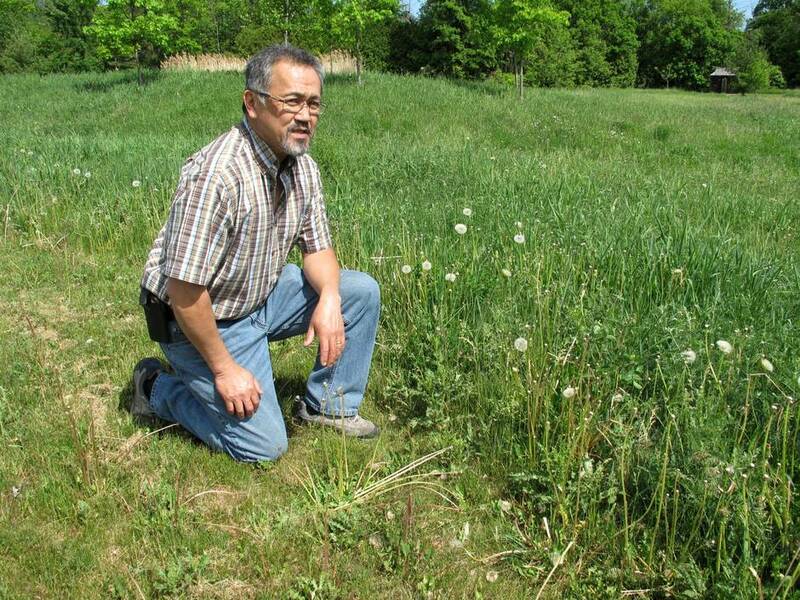 According to the Rideau Valley Conservation Authority (RVCA), about 620,000 people live in the watershed, which drains more than 4,000 square kilometres of southeastern Ontario. Hundreds of thousands of others cottage, camp, canoe and boat on the waterways each year. There are approximately 200 inns and bed-and-breakfasts along the system, 20 golf courses and numerous marinas. Water traffic can be intense – the little lock at Narrows that joins Upper Rideau to Big Rideau Lake, for example, sees about 5,000 vessels pass through a season, from groups of canoe paddlers to the 45-passenger, 12-crew Kawartha Voyageur cruise ship. Proponents of the entire Rideau system bemoan the fact that most visitors are aware, if at all, only of the dramatic rise of locks between Parliament Hill and the Fairmont Château Laurier hotel or the “world’s longest skating rink” that each winter begins at the top of those locks and runs all the way through Ottawa to Dow’s Lake. True enough. There is great beauty to be found throughout the Rideau Valley. This was first noted by surveyor John Burrows in 1827. Once he made it past the rapids and through the swampland, he came to a chain of lakes that delighted him. It took a few generations, but eventually there were steamboats plying the river as it became first a transportation route for settlers and supplies, then a tourist draw and boaters’ paradise, with large cruisers from Canada and the United States able to travel easily and safely, thanks to Col. By insisting this canal be deeper and wider than had at first been suggested. Toward the end of the 1900s, hotels along the waterway and guided fishing trips became popular with tourists. Soon, many wanted more permanence and built their own cottages. On Memorial Day weekend this year, the large parking lot at Newboro Lockstation held more U.S. plates – New York, Michigan, Pennsylvania – than Canadian. Locals, not surprisingly, are fiercely proud of their canal system. Max Finkelstein, who has written widely about his great canoeing adventures around North America, still cherishes the calm Rideau, the river where he learned to fish and paddle with his father. Mr. Finkelstein’s first canoe trips were along the Rideau system. His son Isaac is on the river virtually every day as he trains with the Rideau Canoe Club. Mr. Finkelstein often dresses as a coureur de bois and guides paddlers along the Rideau in one of the club’s voyageur canoes. Upkeep has always been an issue with the system. Environment Minister Catherine McKenna recently announced $57-million worth of infrastructure spending along the length of the canal that will see locks and bridges repaired and include the addition of accessible docks for canoeists to use when putting in and taking out their boats. 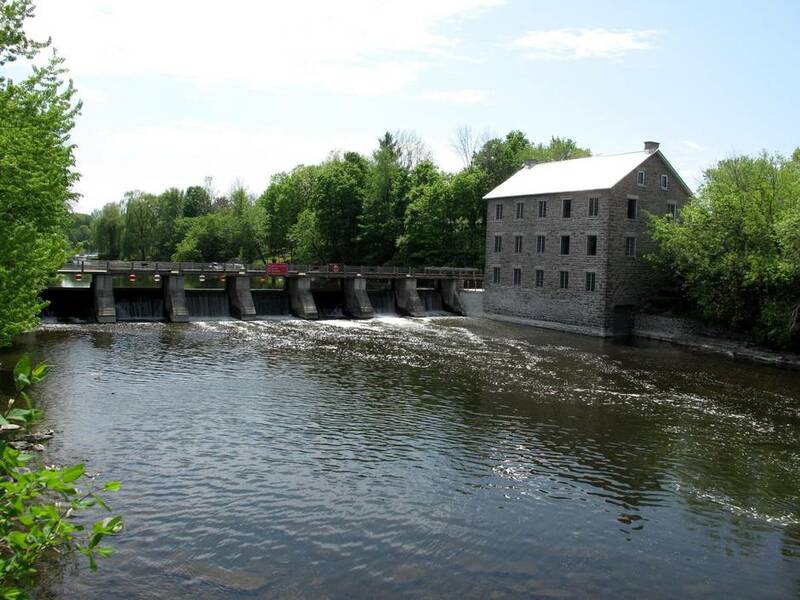 With such extensive usage, the conservation authority is an important factor in maintaining the Rideau waterway. With a stated mission of maintaining “clean drinking water, natural shorelines, and sustainable land use throughout the Rideau Valley watershed,” the challenge for the RVCA, with its 65 employees and $10-million-a-year budget, is to be a worthy watchdog. The key, says Michael Yee, a staff biologist with the authority, is to manage people’s use of the system, even more so than managing the system itself. “We want to see a lighter touch and a smaller footprint around the shorelines,” Mr. Yee says. “The water quality is better now than it was,” he adds. “But you can’t get complacent. We do a lot of monitoring of the river and its tributaries. The watershed is changing. Things aren’t as they used to be. You’ve got climate change. You’ve got invasive species. So you absolutely cannot be complacent. What amazes Mr. Yee is how little has changed in the canal system since it was completed 184 years ago and how remarkably well Col. John By’s vision has stood up. “Col. By should have been knighted for what he did,” Mr. Yee says. “Even with today’s technologies, could we do what he did?